Beatriz Recari © Ladies European TourEuropean Solheim Cup Captain Liselotte Neumann admitted she was “excited, proud and happy.” No wonder. Her side had just achieved an historic first away win by a record 18-10 margin and reduced the overall score to 8-5 in the USA’s favour, writes the Ladies European Tour. Triumphant European skipper Liselotte Neumann and her team. Caroline Hedwall rewrote the history books at Colorado Golf Club when she sank a four foot putt birdie putt at the final hole to beat Michelle Wie and retain the Solheim Cup for Europe, writes the Ladies European Tour. Cristie Kerr could not compete on Sunday because of injury. Europe was awarded the point. 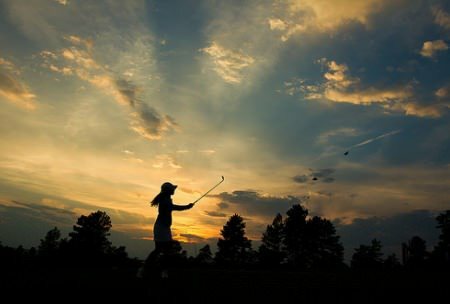 Picture by Jenny Matthews/www.golffile.ieUnited States captain Rosie Jones said she had no regrets about playing Cristie Kerr in the first four sessions after the US player was forced to withdraw injured from Sunday’s Solheim Cup singles. 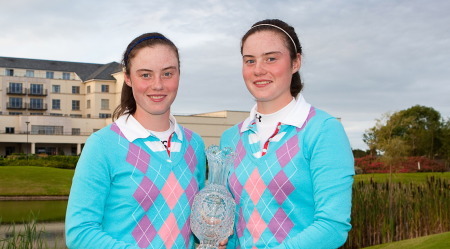 Christina Kim and Ryann O’Toole at Killeen Castle. 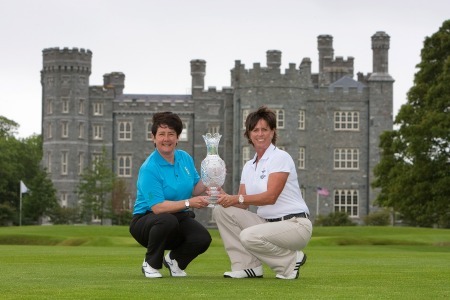 Jenny Matthews/www.golffile.ieAmericans Morgan Pressel and Ryann O’Toole holed big putts to help the United States keep Europe in its sights in the Solheim Cup at Killeen Castle. With the sides level at 2-2 after the morning foursomes, Europe surged ahead in all four afternoon fourballs but to had to settle for a 4 1/2 - 3 1/2 lead after a windy opening day in Ireland. Rookie Caroline Hedwall and fellow Swede Sophie Gustafson put Europe 3-2 ahead with a 5 and 4 win over Vicky Hurst and Brittany Lincicome. 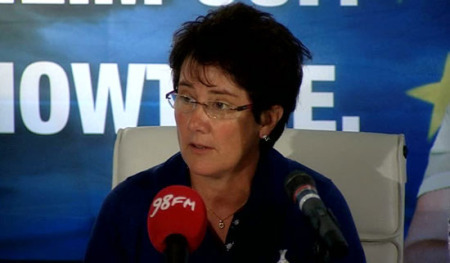 European skipper Alison Nicholas has refused to rule out handing an Irish player one of her four wildcards for the Solheim Cup clash with the United States at Killeen Castle in 150 days’ time. 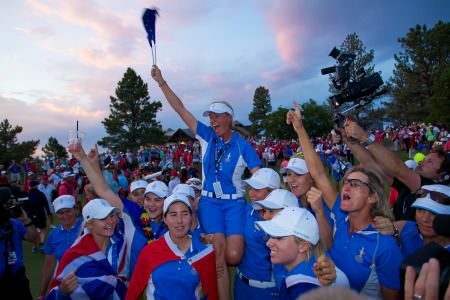 Alison Nicholas: "The constant cheering for the home side can really wear you down"
Solheim Cup captain Alison Nicholas is convinced that massive home support will be crucial to Europe’s hopes of winning the trophy for the first time since 2003. Just a matter of days after the European Tour left Ireland behind after another successful 3 Irish Open, the Ladies European Tour arrives on Irish soil ready for this week’s AIB Ladies Irish Open. The three Irish Curtis Cup representatives who did Ireland proud in the recent matches in the USA are all set to test their considerable skills against the very best players in the the AIB Ladies Irish Open from August 6-8. It’s cruel to tease but the Ladies European Tour was at it this week. As if Rebecca Coakley didn't have enough headaches after being bashed on the noggin recently by a pro-am hacker in China. 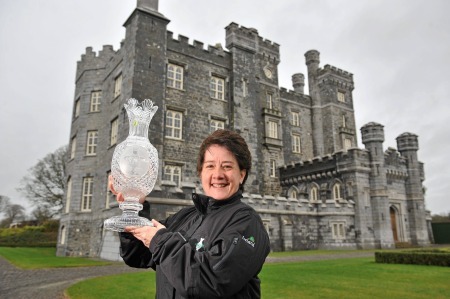 With the 2011 Solheim Cup coming to Killeen Castle, Coakley is hell bent on becoming the first Irish woman to make the European side to take on the USA. Or at least, she is starting to believe it's more than a pipe dream.